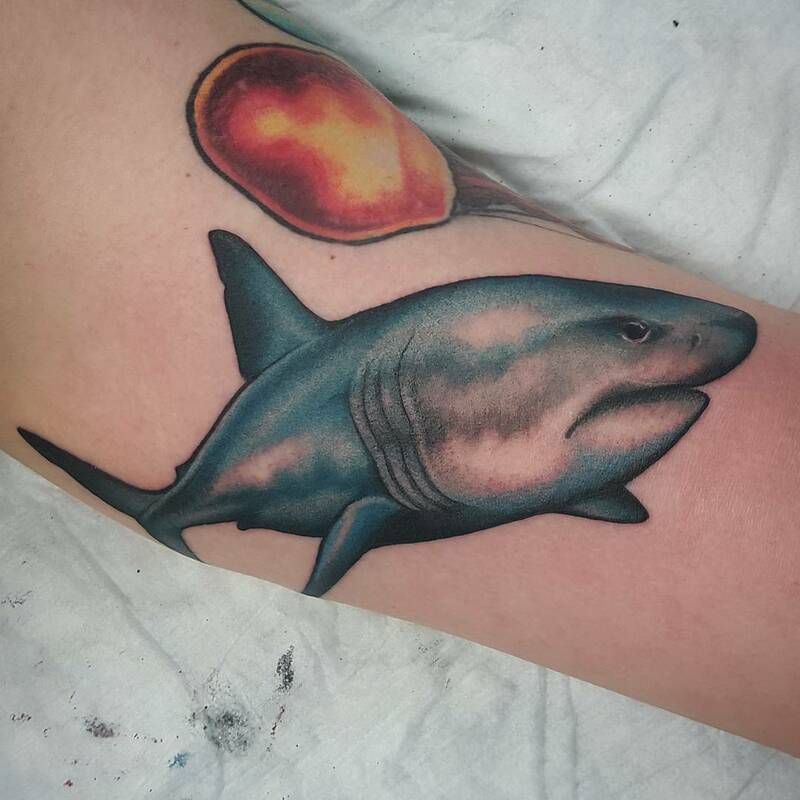 Shark is a frightening yet a captivating sea animal. 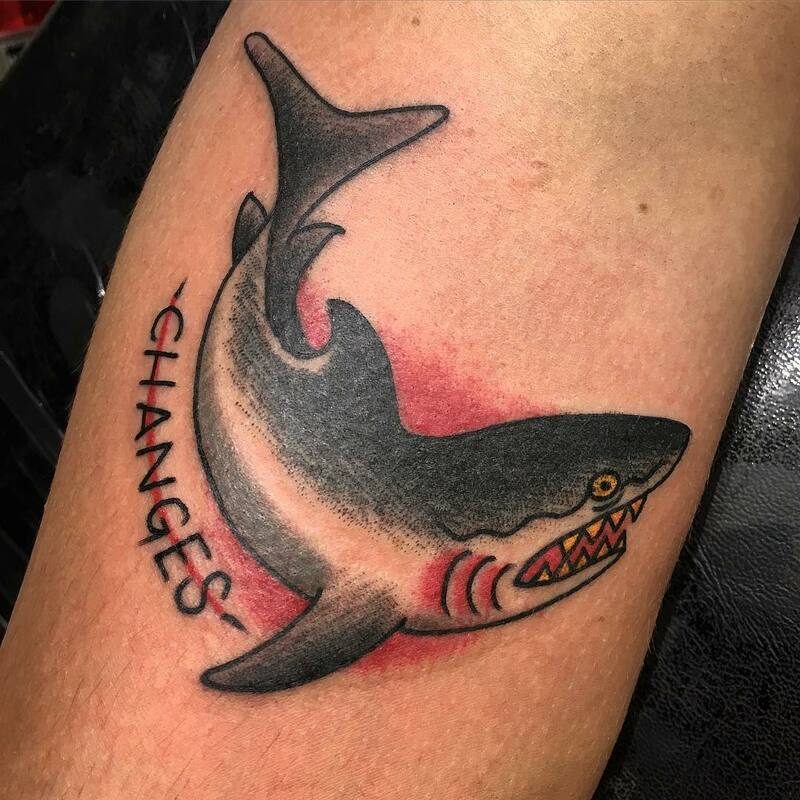 They are one of the most strikingly scary images to physically encounter and after Hollywood movies like “Jaws”, they have created an illusion of being the most destructive creature. 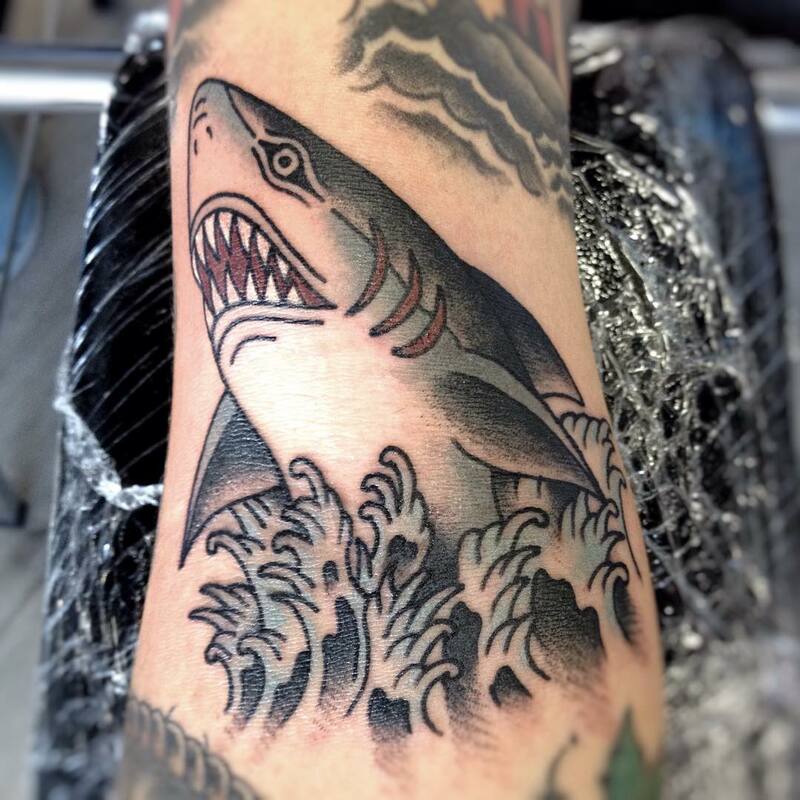 However, when it comes to tattoo, shark tattoo designs are much in vogue in ink studios across the world. 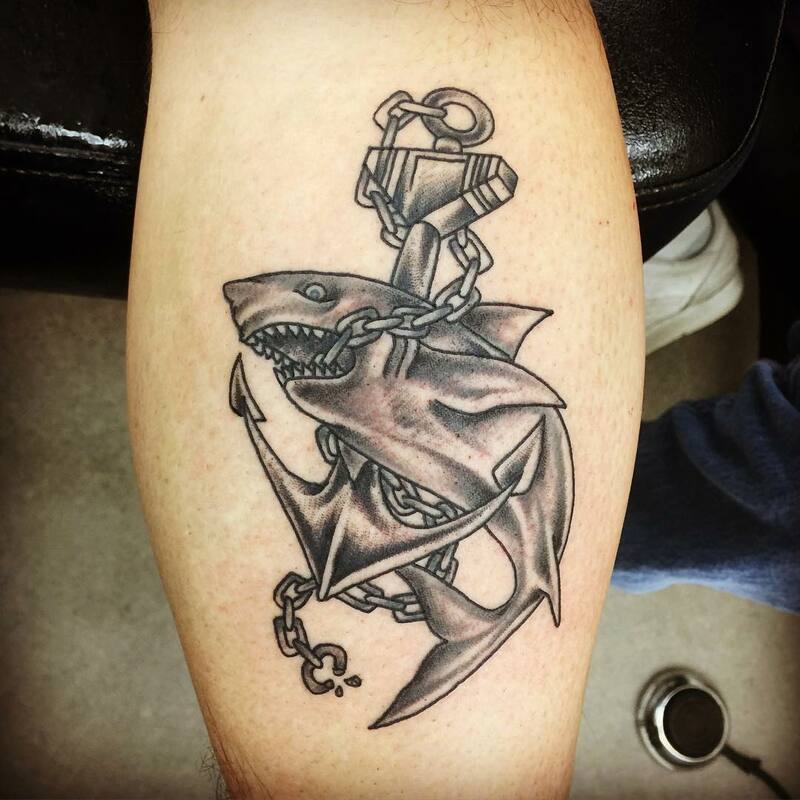 You need to come over your instinctive fear and try to understand the real symbolism and meaning behind this tattoo.In many cases people use this tattoo design to emblematize their survival from a dreadful shark attack which shows how bravely they conquered fear. 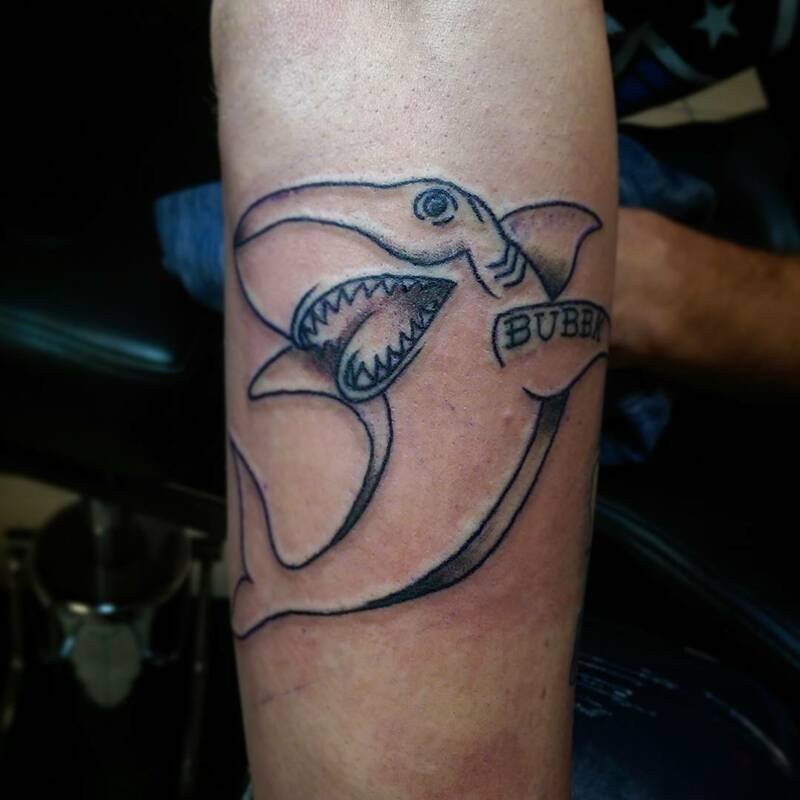 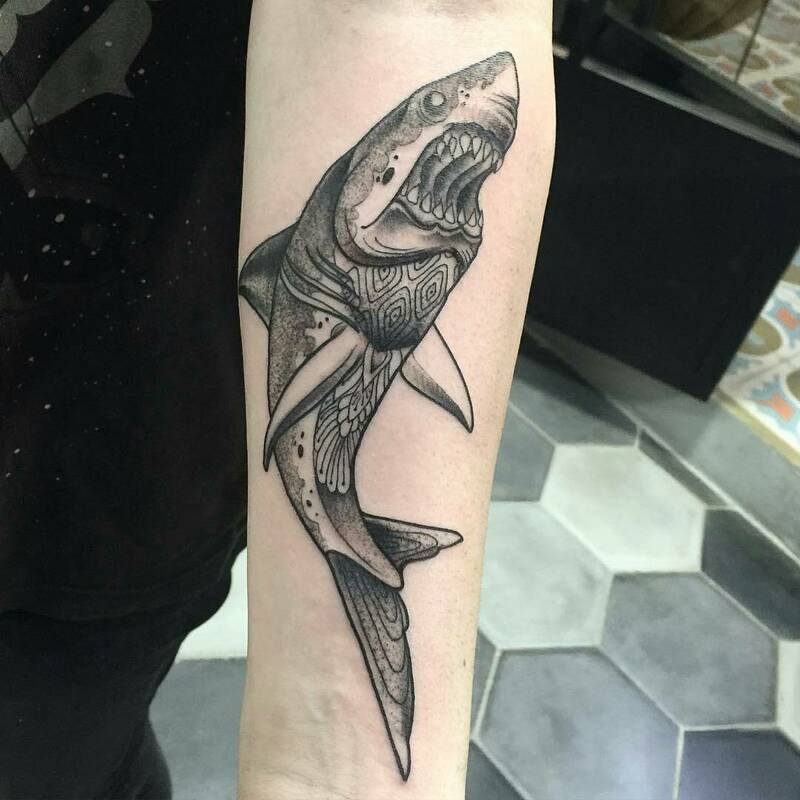 Someone who has great admiration for this enigmatic creature can also showcase their love for sharks by getting inked with this design. 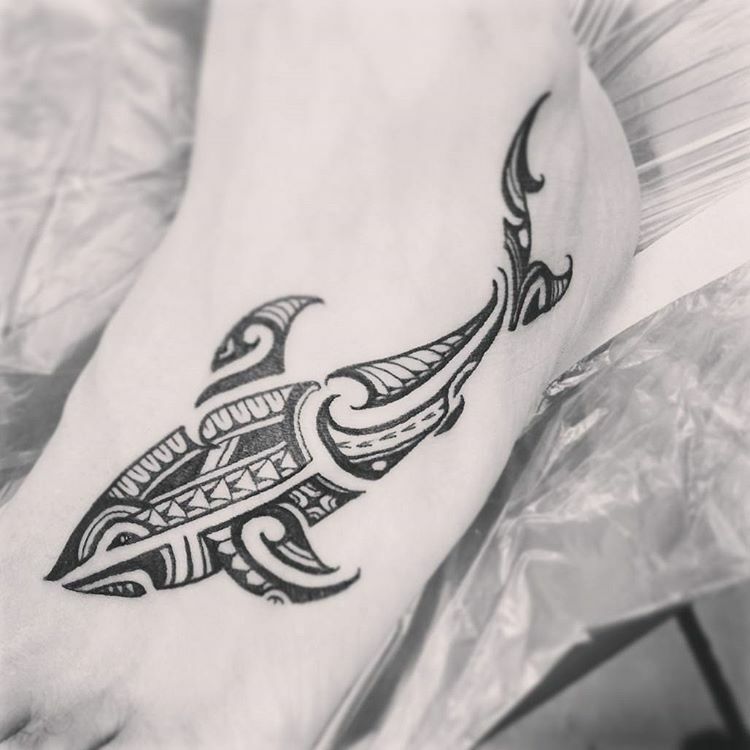 The people who spent half of their lives voyaging and exploring the sea opt for this tattoo design as a metaphor of their own versatility for means of survival. 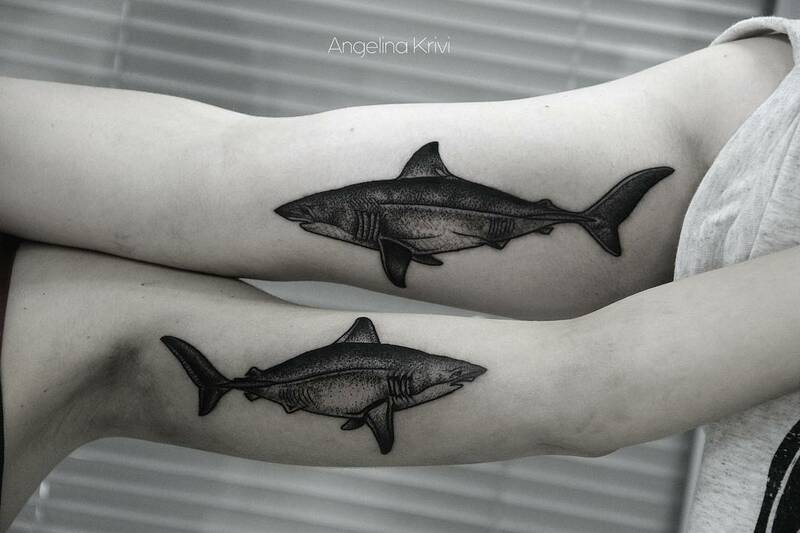 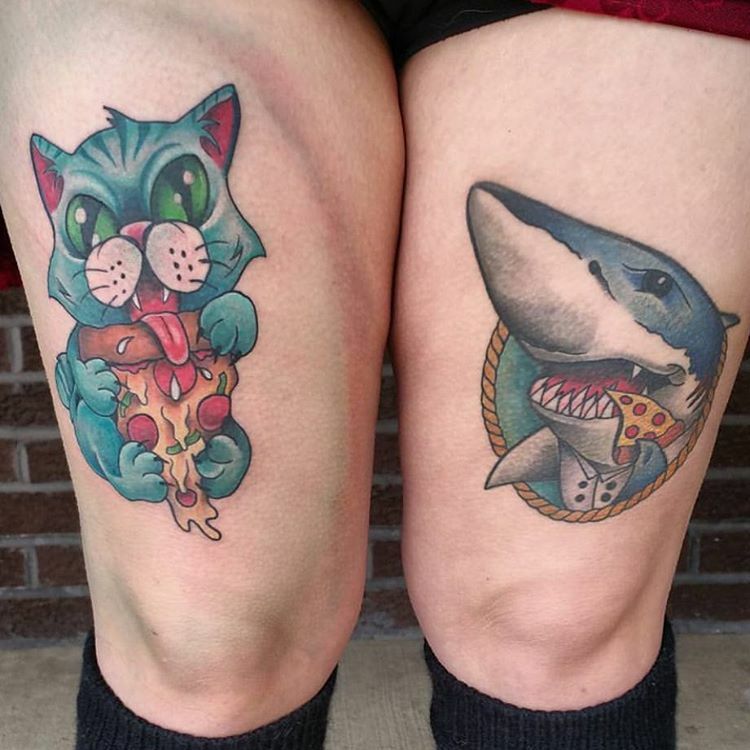 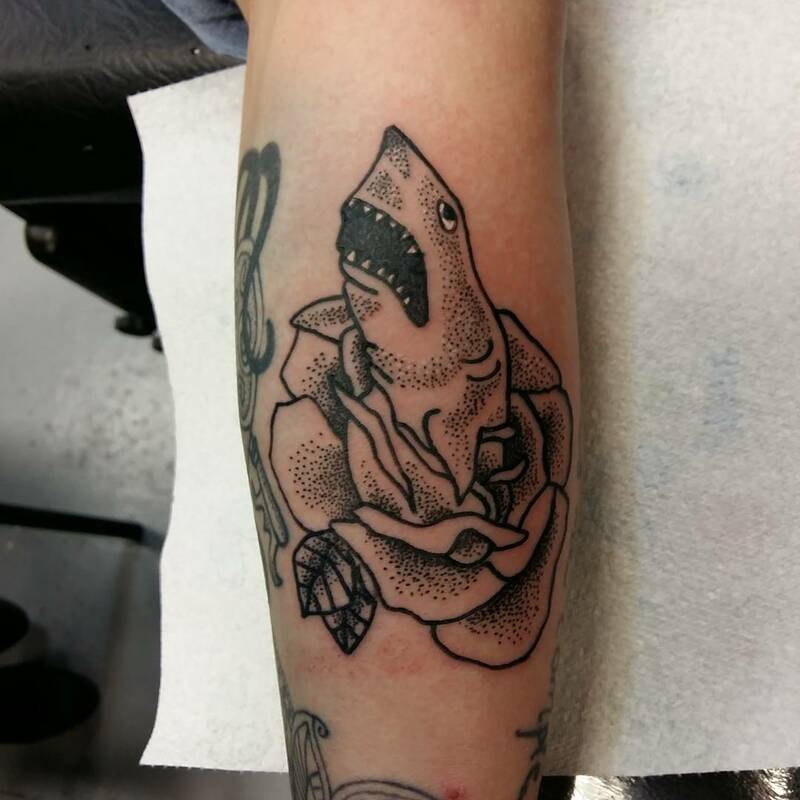 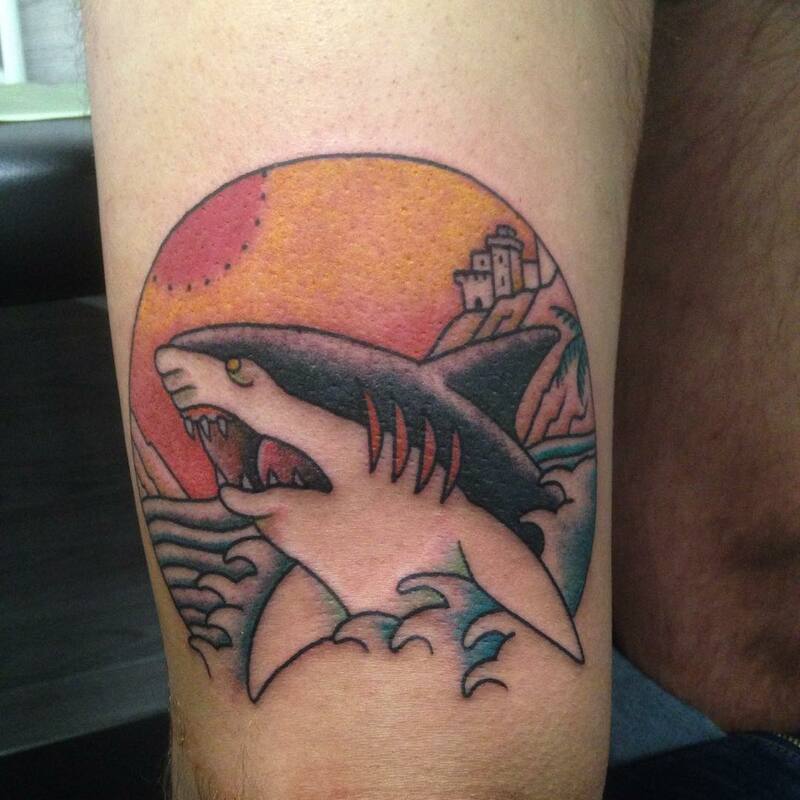 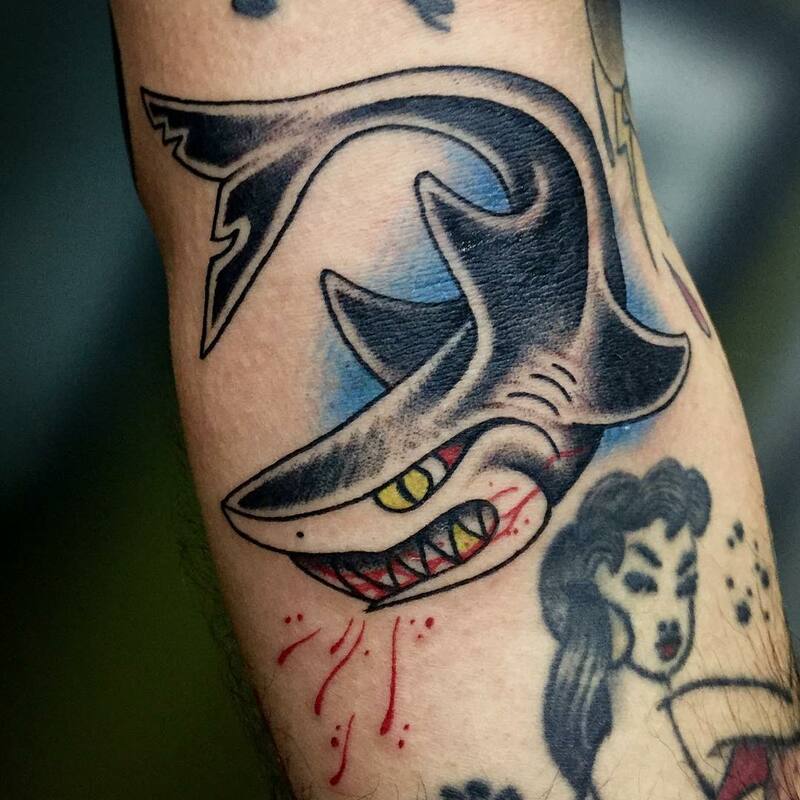 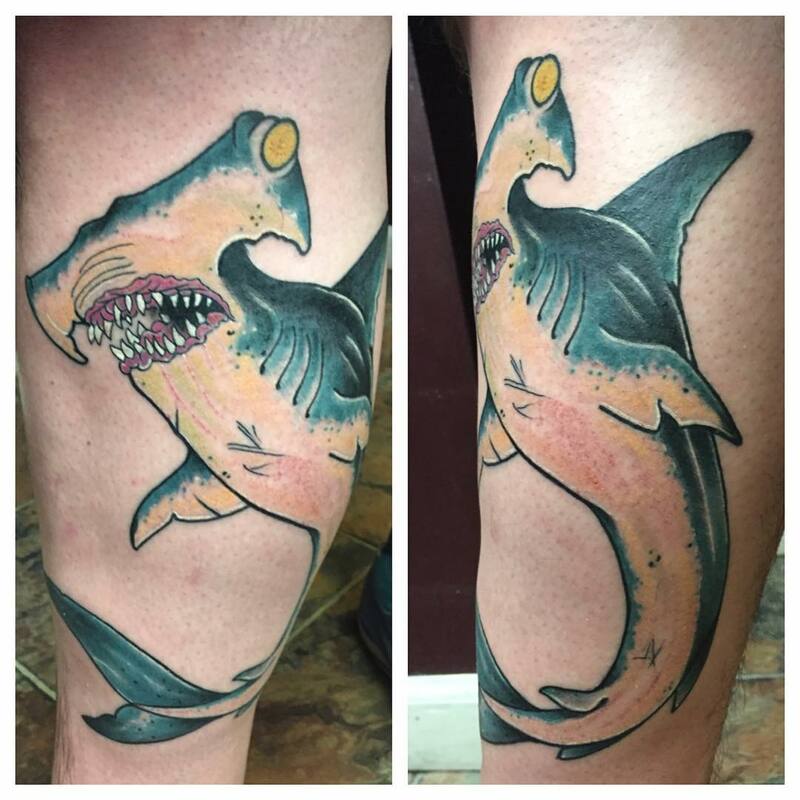 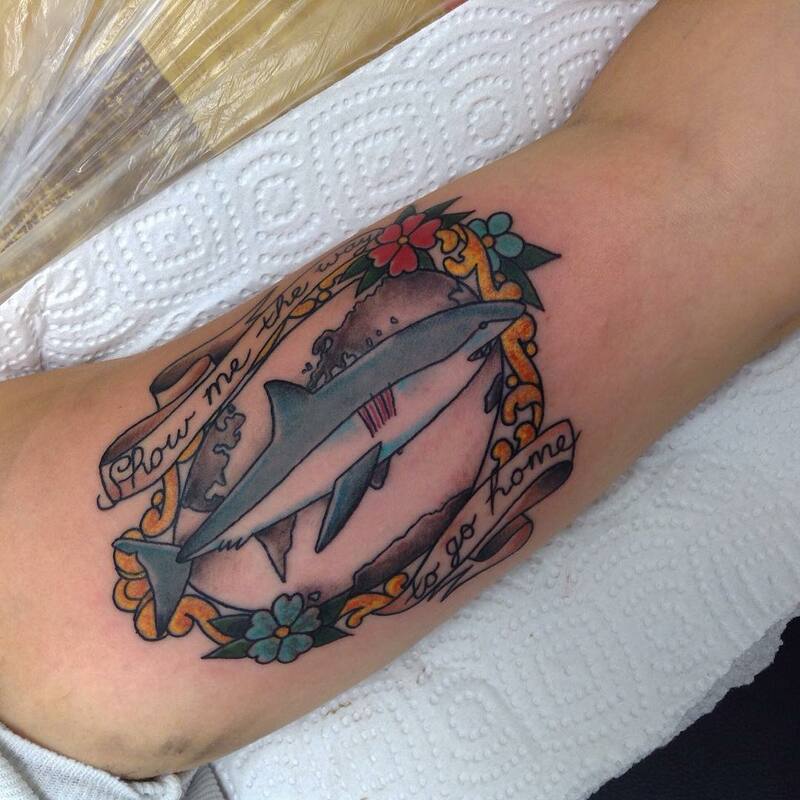 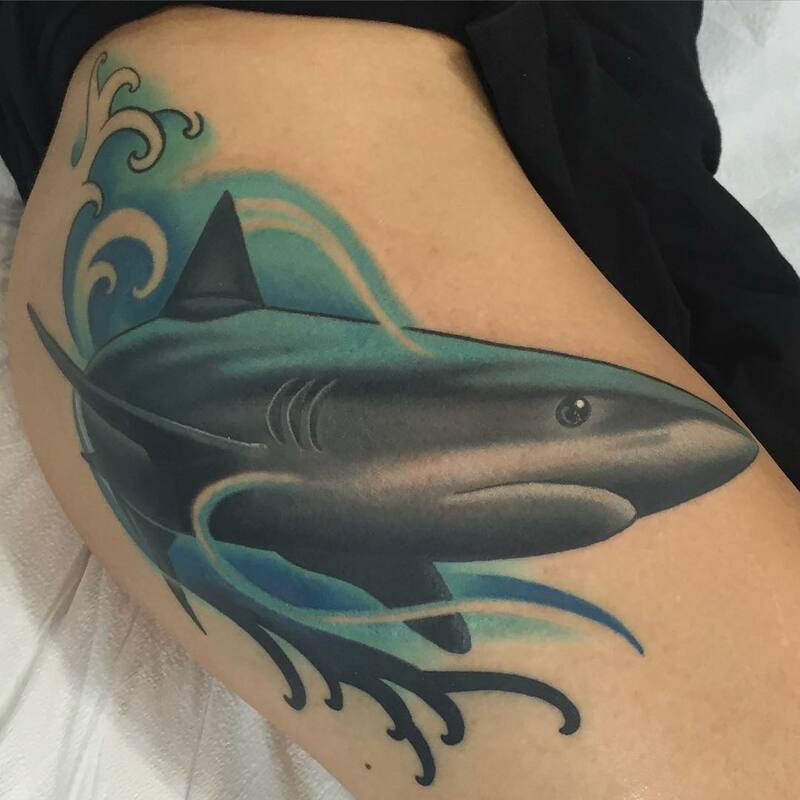 Take a glimpse at some of the strikingly alluring shark tattoo designs. 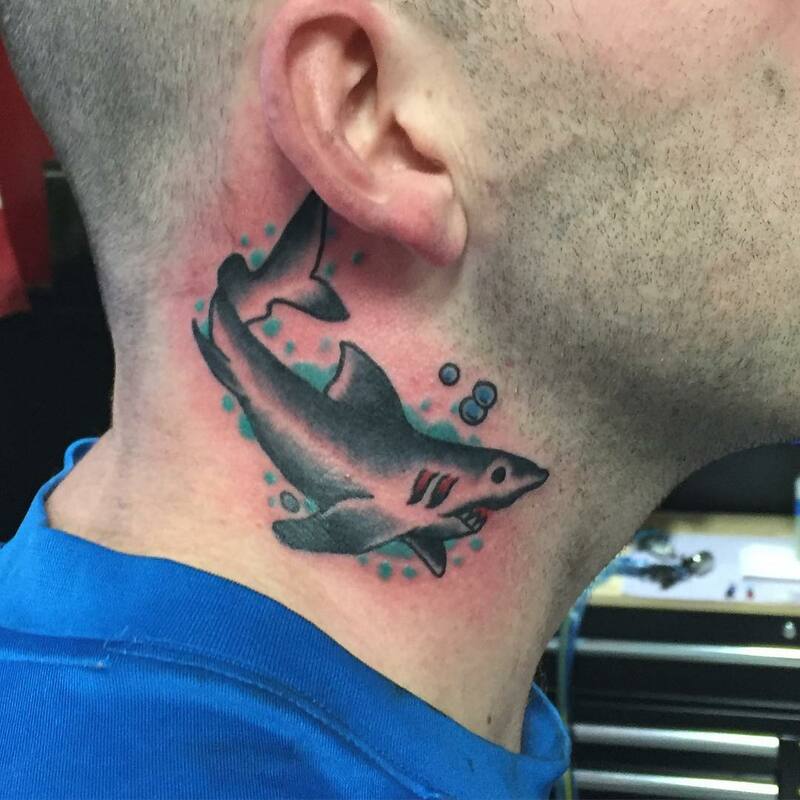 Great White Sharks- They are the embodiment of ultimate predators. 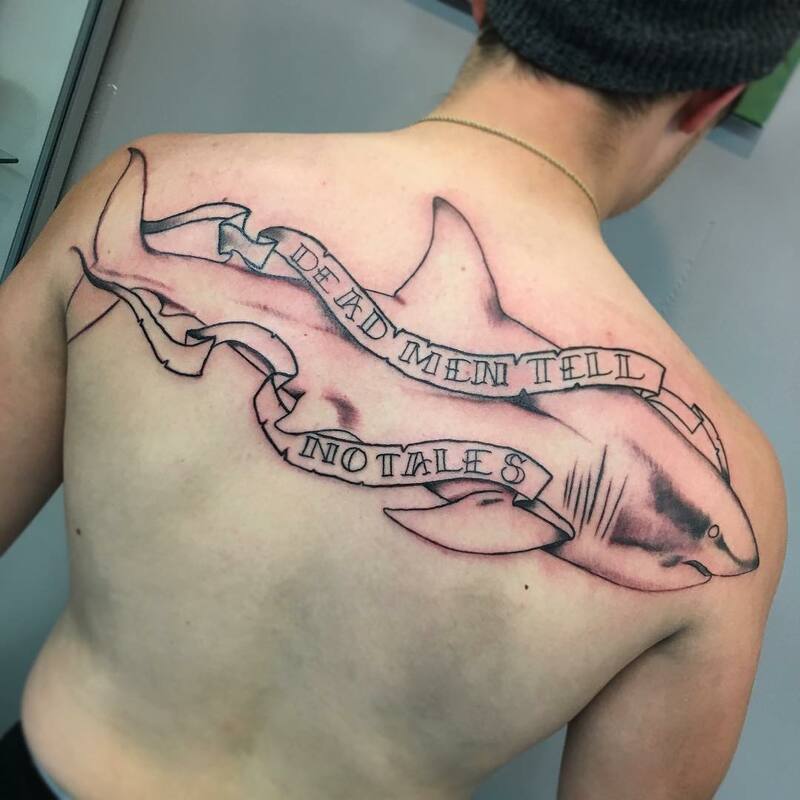 People whose nature reflects power, aggressiveness and efficiency are quick to get a Great White tattoo on their bodies. 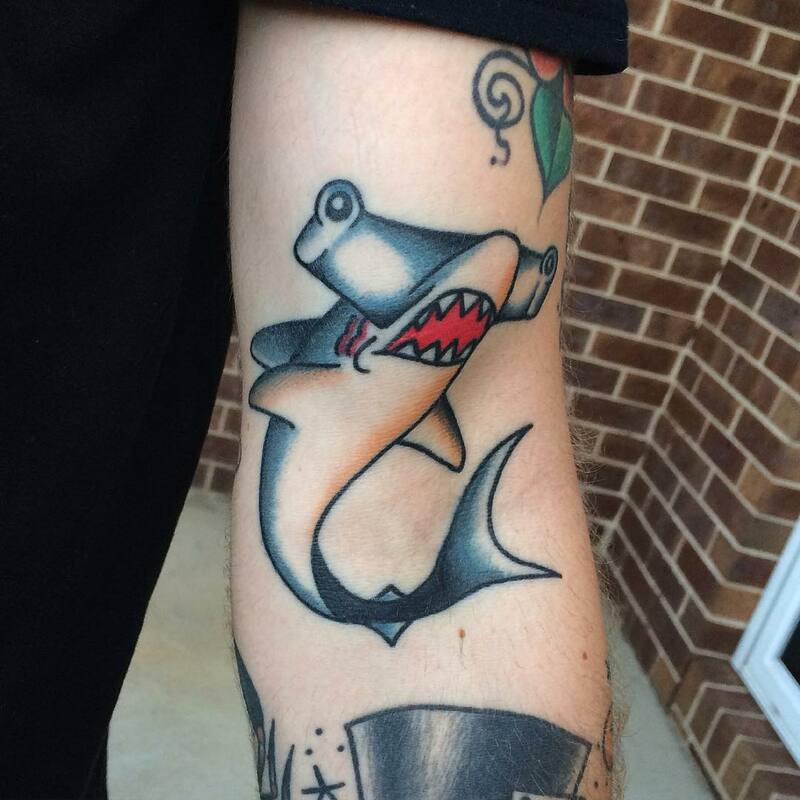 Hammerhead Shark- A Hammerhead Shark tattoo means that you are the shield and guardian, always ready to keep a watch over your loved ones. 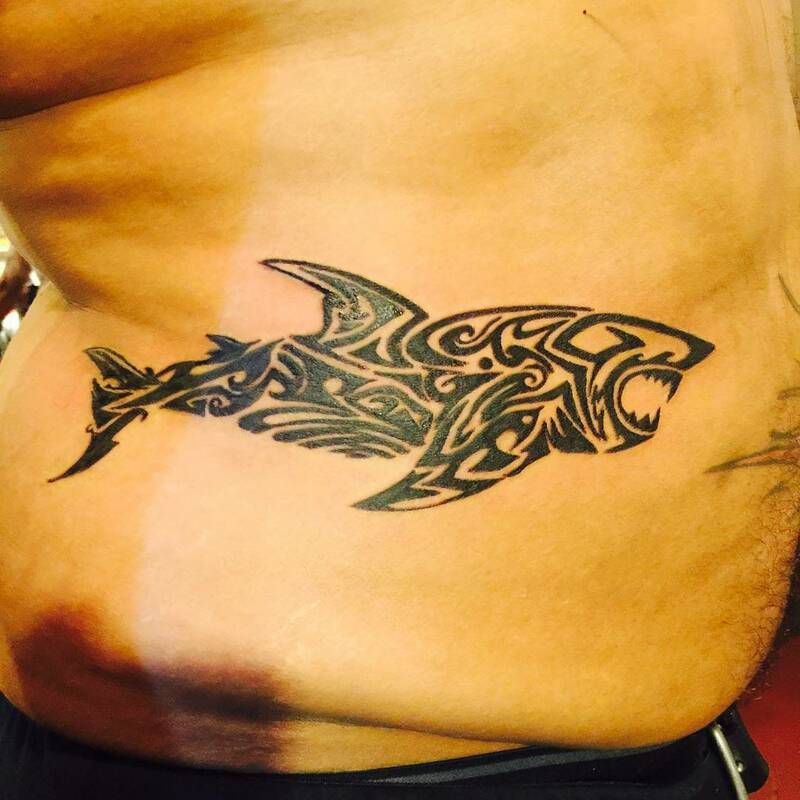 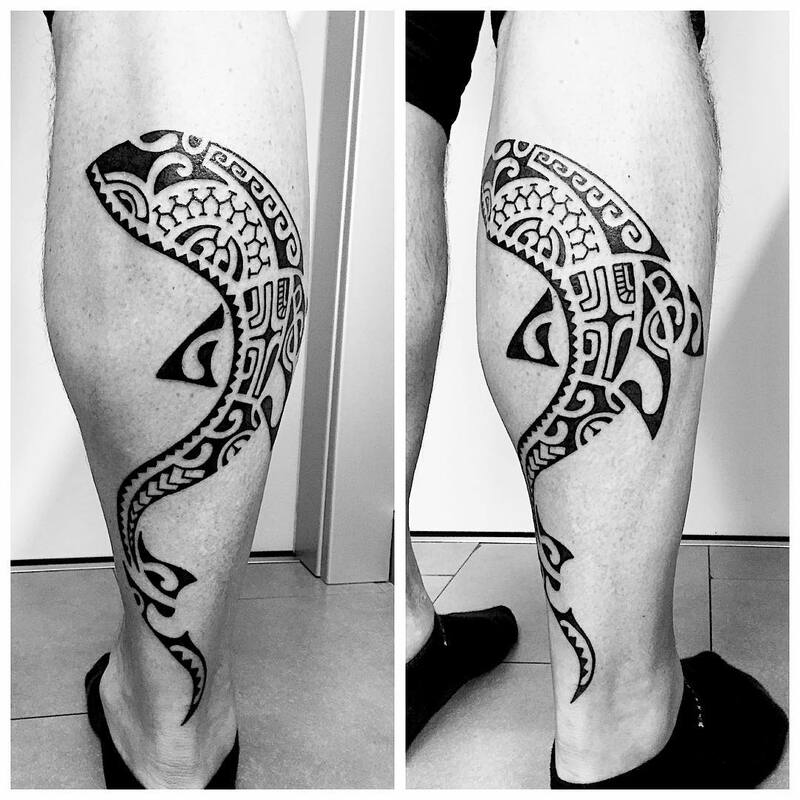 Tribal Shark tattoo– With globalization, tribal tattoos have become a common hot pick in the tattoo world. 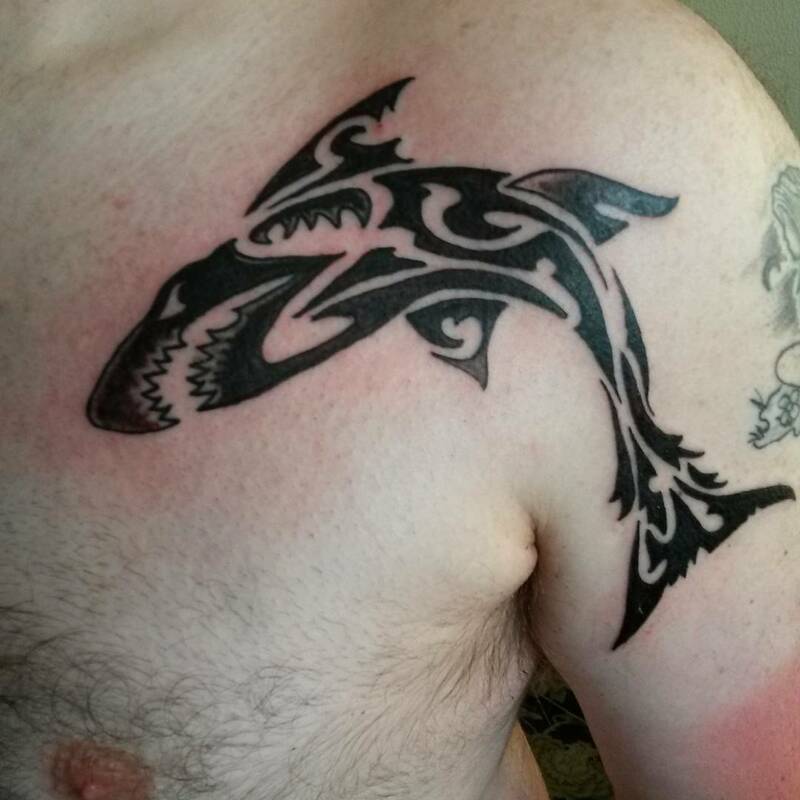 Wearing a Tribal Shark Tattoo is a great way to consociate with the spiritual energy of the frightful shark and native culture of a region. 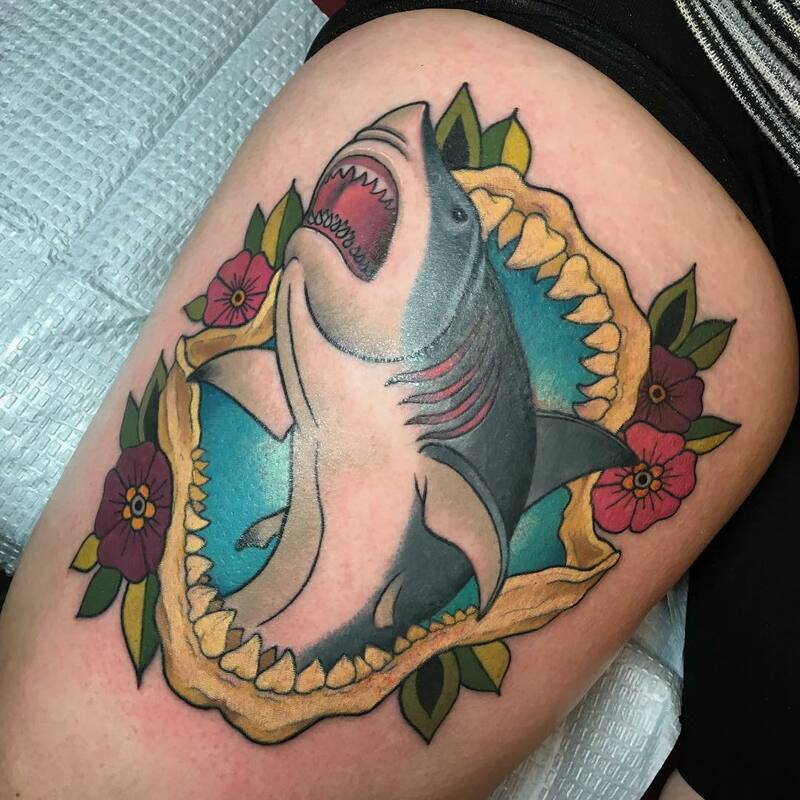 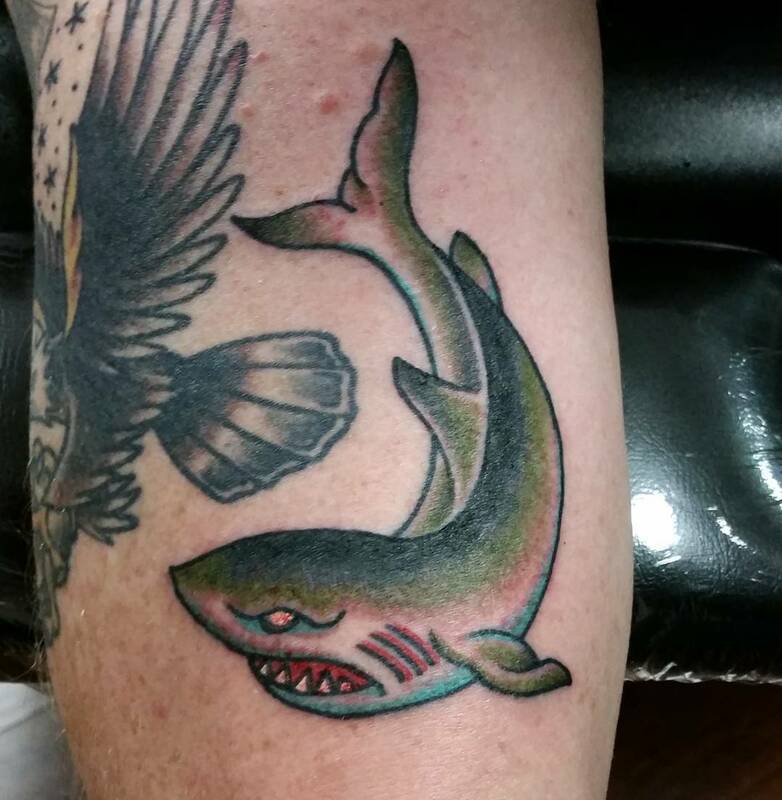 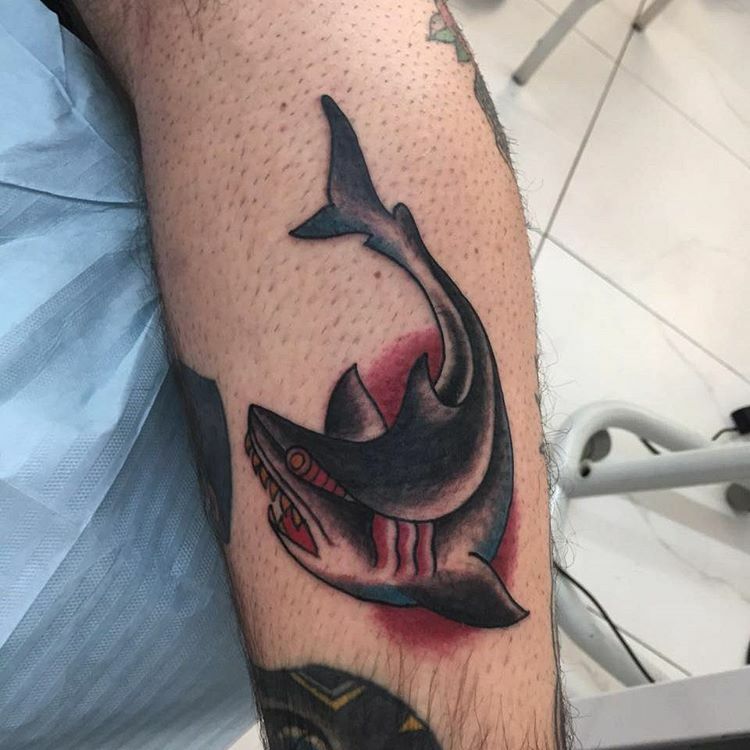 Cartoon Shark tattoo- Cartoon Shark tattoo speaks about your playful and bubbly nature with a warning that beneath your calm appearance lay a deadly shark persona. 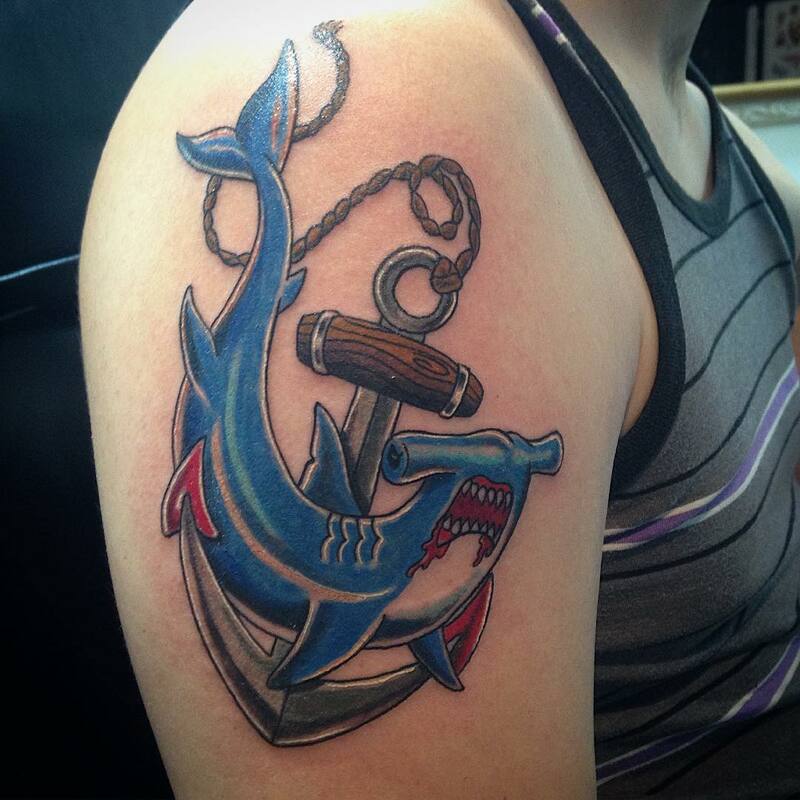 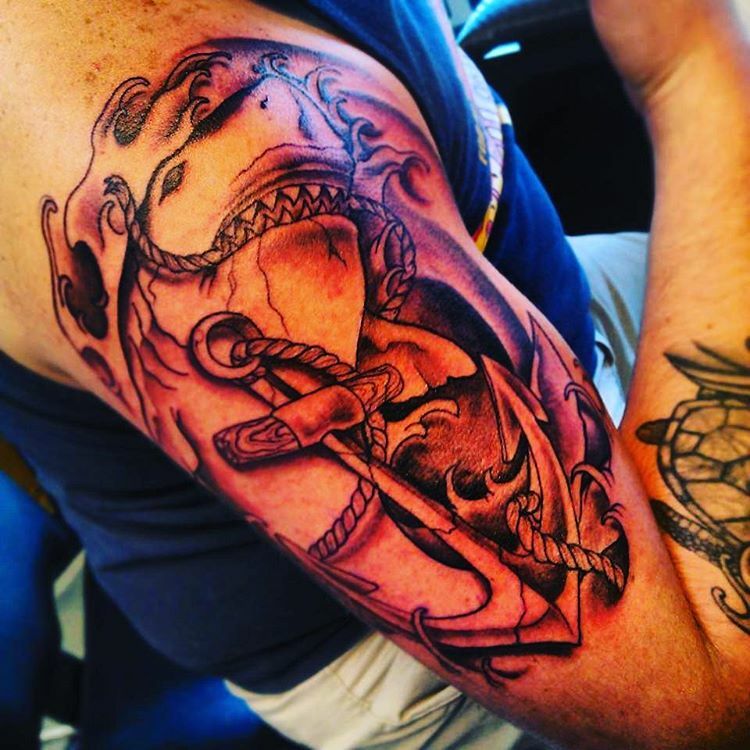 Shark and Anchor tattoo- This design is best for all nautical lovers. 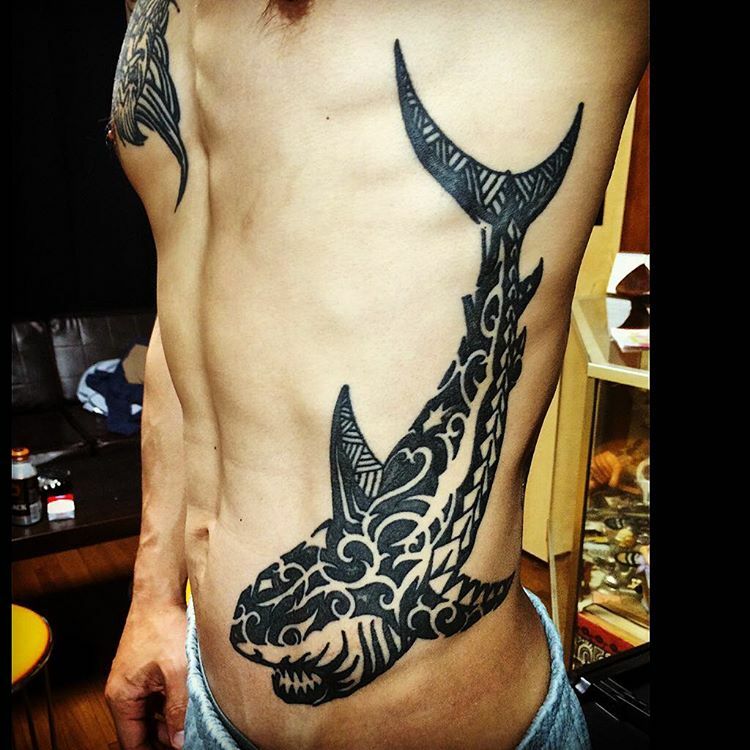 This tattoo is trendy mostly among men, inked mainly on the biceps, shoulder and chest. 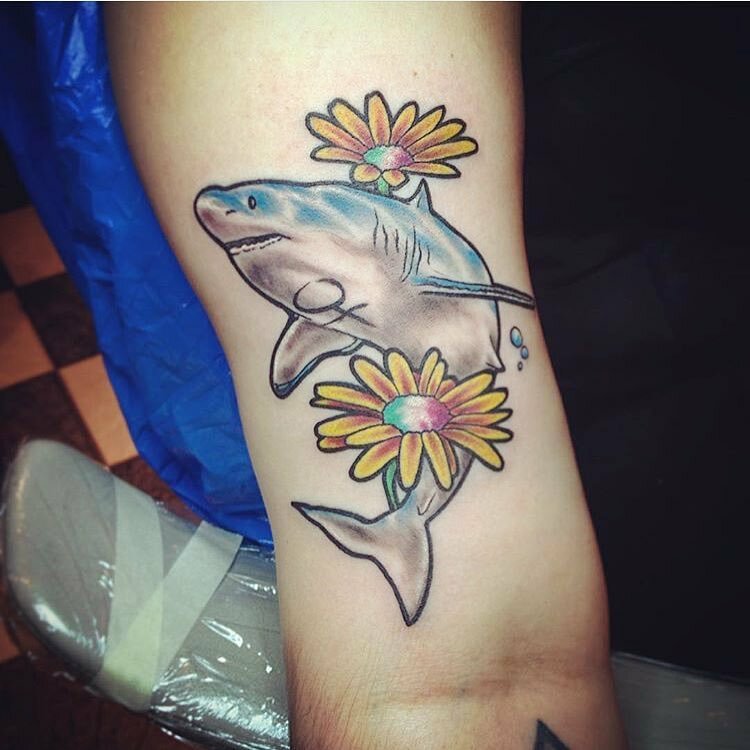 But a petite shark tattoo ornate with floral or butterfly can create a feminine look.